Written and edited by engineering contractors and industry project/maintenance managers as an easy-to-use guide for other industry professionals, this book identifies important process safety issues in the contractor-client relationship,which are not addressed by other groups and publications. While the issues may arise at any point in the life cycle of a plant, they should be resolved early in the relationship to permit a clearer focus on process safety issues. Topics covered are a general discussion of contractor safety programs; EPC (engineering, procurement, construction) contractual bases and work division as they address regulatory PSM issues; subcontractor relationships; and managing contractor-client risks. 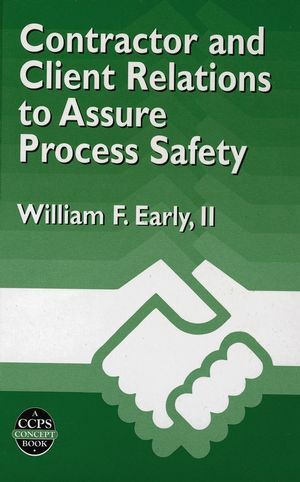 William F. Early II is the author of Contractor and Client Relations to Assure Process Safety, published by Wiley. Chapter 5. Managing Client-Contractor Risk.